Have you ever encountered a police officer and did not know what do? Well we are here to help!!! Come Check out this dope Know Your Rights Workshops and learn about the R’s. The 3 r’s include your Rights, the Reality, and your Responsibility. 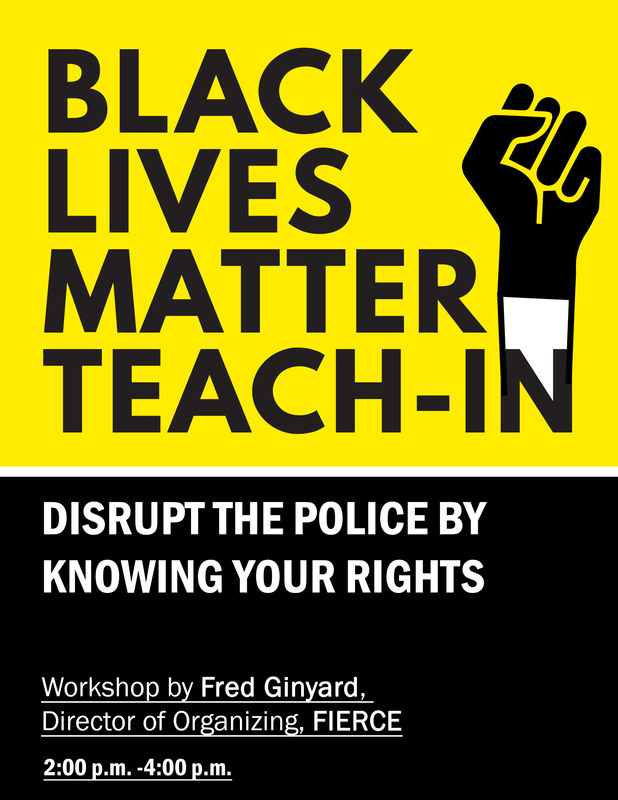 Workshop by Fred Ginyard, Director of Organizing, FIERCE. FIERCE is a membership-based organization building the leadership and power of lesbian, gay, bisexual, transgender, and queer (LGBTQ) youth of color in NYC.